I began discussing this in my post on the mantua. 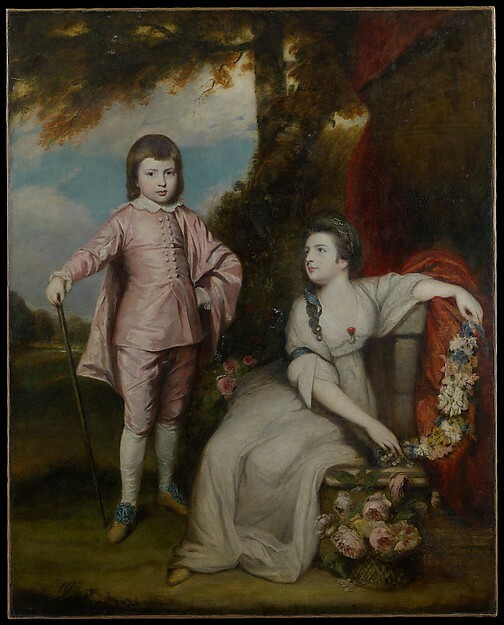 As the wealthy began to create separate public and private lives, they desired paintings of themselves in private, dressed in ways they could never appear in public. 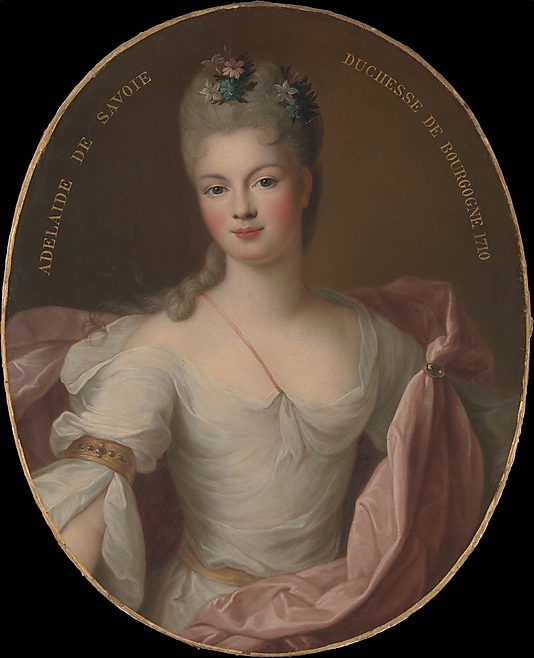 Some of the sitters wore actual negligée dress, but some were painted in an invented costume meant to invoke thoughts of the Greeks and Romans. 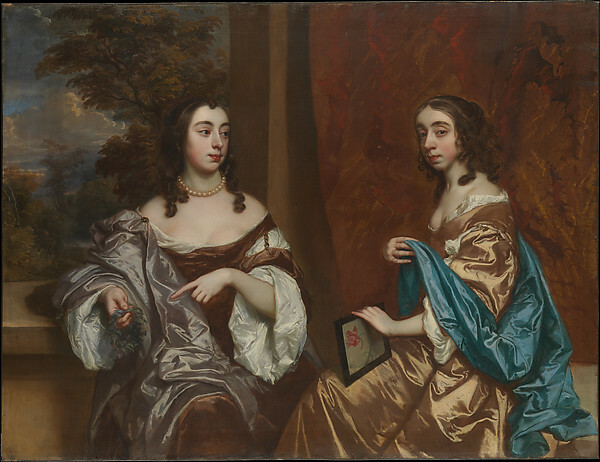 Apart from being informal, this style of dress was meant to keep the portraits from looking as dated as those of the Elizabethans, with their supported skirts and ruffs, though it is up to the viewer to determine if it has had its intended effect. 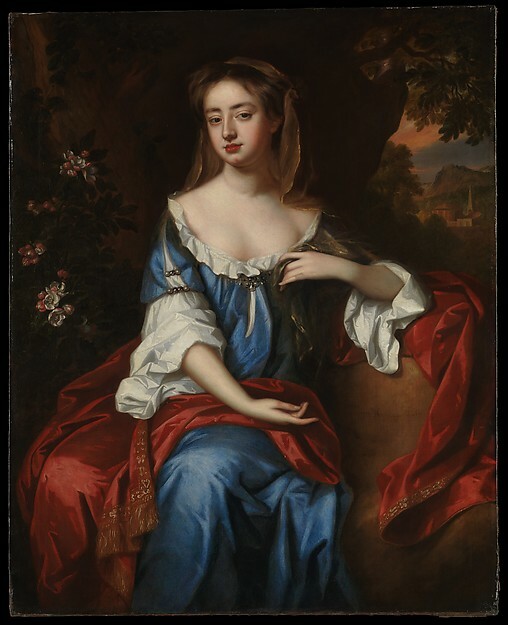 One painter who is often connected with portraits painted in this style of dress is Sir Peter Lely. A common feature of this costume is a large swath of fabric, often drawn diagonally across the body and nearly always in a contrasting color. This was based on many painted Greek vases (and other artistic artifacts) in which women wear chitons with a cloak. 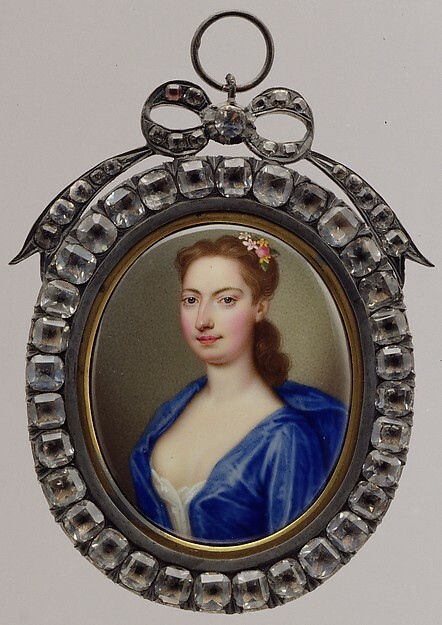 Although it is mostly women who were painted in this costume, elements of it can also be seen in portraits of men. 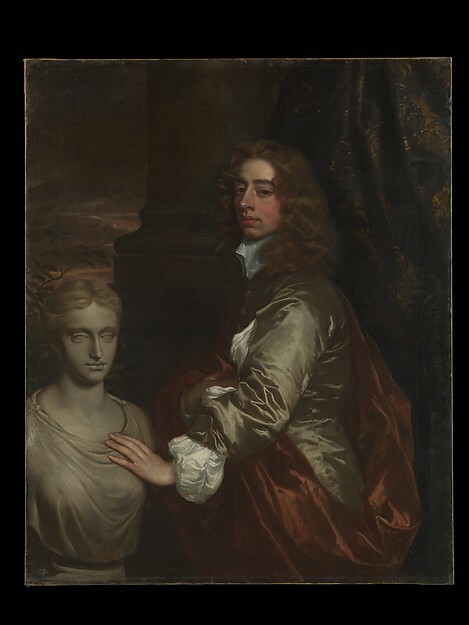 Sir Henry Capel, Sir Peter Lely, 1659? Sir Henry Capel also wears the diagonal cloak, and while his coat is of a fairly conventional cut, its details have been erased to give an impression of Classical simplicity. 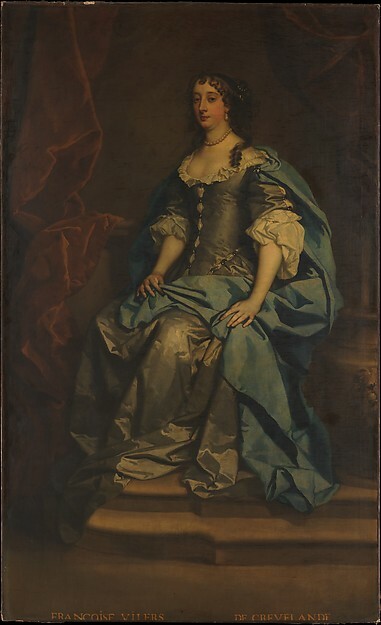 As the mantua took on a more distinct form and began to be worn in public, the "timeless" costume of portraiture was adapted to appear more up-to-date. 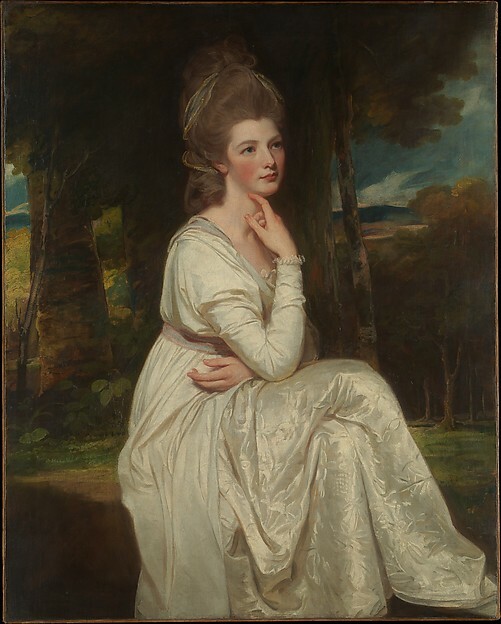 At the same time, the rise of genre scenes in art slightly decreased the popularity of faux-Classical portraiture for the first part of the century. 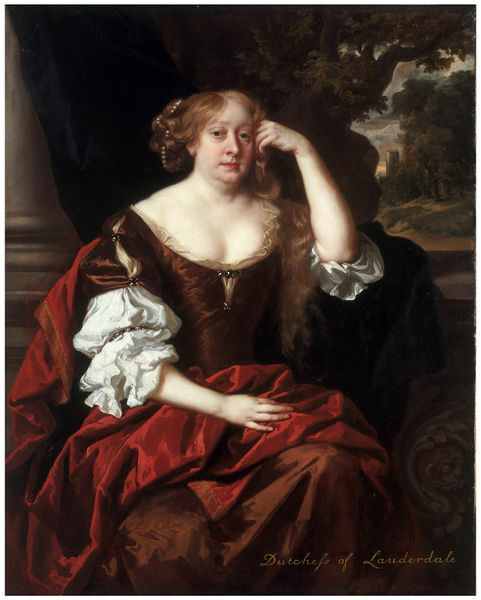 As can be seen, the sitters in these portraits have a more conical shape to the torso, mimicking the lines of the corset, and they show much less of the shift than the earlier ones. Possibly, as the tradition of this costume trickled down in society, the goal of appearing to be comfortably-dressed in private was lost. 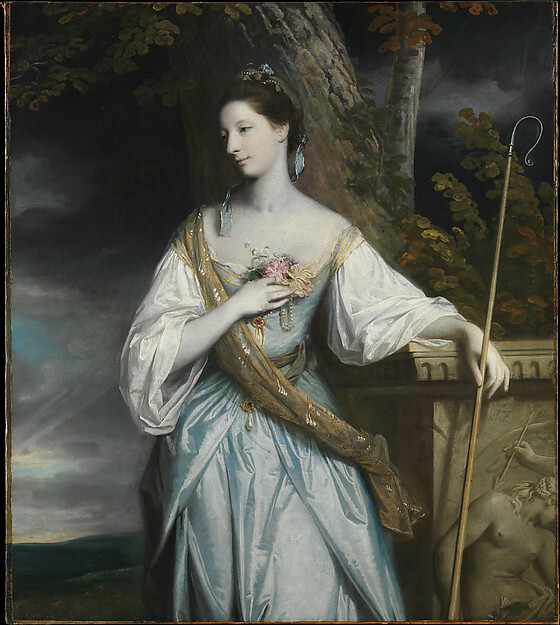 Later in the century, as people began to excavate Roman ruins and the ancients became interesting again, the fashion for being painted in loose, Classical-esque gowns was revived. 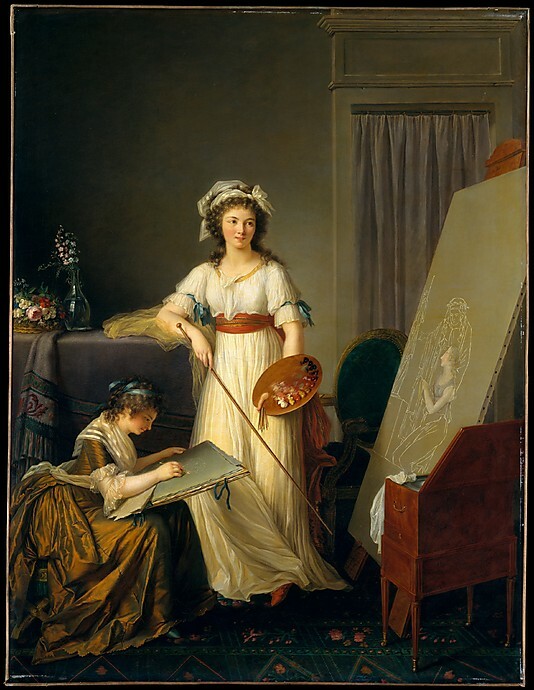 As the chemise gown came into fashion, something like the types of costumes seen in these paintings began to be worn in real life. Those who wished to set themselves apart from the fashion-conscious crowd began adding more Classical touches to their clothing, such as turbans, high waists, and shorter sleeves. This antifashion quickly developed into the Neoclassical fashion of the turn of the century that many of us know and love today.